A good friend calls my attention now and then to articles on topics she thinks might interest my readers, or that I might want to write about. The most recent is a review of a book called, “Will Power” which deals with self-control. Along with intelligence, self-control was thought to be the best predictor of success in life. Except, as I wrote last week, “grit”, or perseverance now seems to have taken the lead. In the book review, the reviewer refers to a well known experiment in which preschoolers were given a choice in which they could have one marshmallow they could eat right away; but if they waited fifteen minutes (I thought it was ten) until the examiner returned before eating it, they could have two marshmallows. The one marshmallow was on a plate in front of the child, so he had to see it without eating it. (Ouch!) These children were followed up many years later and it was found that the 4-year-olds who waited for two marshmallows were more successful in all kinds of ways. It seems to me that a case could be made that a bird in the hand is worth two in the bush, which might lead to a different kind of success. And some things won’t taste that good if you let them sit too long. But the book in question is focused on the importance of self-control, and gives lots of advice on how to build up willpower. Thinking about this, and the topics of some of my recent posts, what I see is the possibility of parents taking away from them too many do’s and don’ts. Don’t let your children watch “SpongeBob”, it can be bad for their attention and problem-solving abilities. Gratifying children is bad, because frustration helps develop “grit”. And now, make your children wait, because that will develop self-control. Unfortunately, that is often the outcome of some of the reporting on these well-intentioned studies. The problem is that will-power, self-control, enduring deprivation or frustration, all start to seem like moral virtues, as though indicating a “good” or “bad” child. It is as though these virtues are somehow ends in themselves, having nothing to do with real people or the reality of life. we believed that picking up a crying child would spoil him. And not that long ago there were rigid schedules for feeding babies, with the idea that feedings every four hours, no matter how they cried, would teach them to wait. We learned in time that the harsh methods of teaching these virtues also taught children less desirable ideas and feelings about life and relationships with others. Then, as now, research in child development led to changing directions in child-rearing. We went on to demand feeding, to the importance of children expressing themselves, to meeting children’s needs. At times it almost seems as though we went from children “should be seen and not heard”, to parents should be seen and not heard. But I get worried when we seem to be moving back to “virtues”, or in this case, supposed characteristics of success, instead of thinking about our children themselves. Yes, self-control is important, because we can’t just hit someone if we’re angry. Tolerating frustration is important, because we can’t always get what we want the minute we want it. Will-power is important, because it helps us do our homework when we would rather talk to our friends. The point is that it’s hard to wait for that cookie – sometimes even if you know you’ll get two if you wait. The ability to use self-control, to tolerate frustration, is something that grows as part of development. As parents, we play a role in that development through our expectations and support. We no longer expect babies to wait to be fed. At the same time, we do gradually begin to modify their feedings somewhat to help them begin to move closer to day/night distinctions and eventually to three meals a day. Hopefully, we make these changes not according to some rigid formula, but by getting to know our own baby. 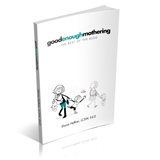 We make adjustments using our own judgment, based on feedback we get from our baby’s behavior. In the same way, as our children grow we can appreciate their struggles in mastering frustration and developing self-control. Their behavior tells us that something is hard for them, not that they are “bad”, or deficient in some way. Our goal as parents needs to be to support children who are having a hard time learning to wait or to use self-control, not to try to make them do this in the service of developing “grit”. We can be supportive by showing that we understand when something is hard, and by helping them gain mastery through our words, our reassurance, and at times just going through hard times with them. Life itself provides many opportunities for children to learn these skills. Teaching them does not require preaching about them as if they were virtues. once again, thank you, thank you, thank you….